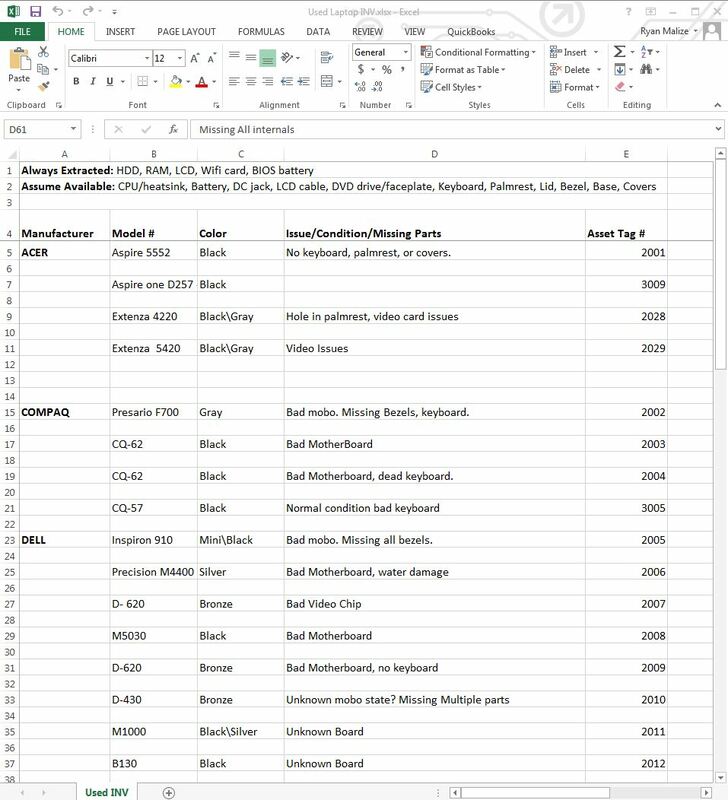 Troy: Am I correct in understanding the new one-time inventory will still require "adding in" the same way as current inventory (by PO or product-create rights), without a way to quickly "add item" with just a name/cost/price? And will be "mixed in" with all other inventory, rather than having its own separate module/section? I got super excited when I read the header title, but then sad after not seeing many of the details I was counting on. Is this nothing more than an additional check box to "disable when out of stock"? We do alot of laptop component replacements, such as replacing unique one time use parts for laptops (batteries, hinges, power buttons, keyboards, screens, etc). 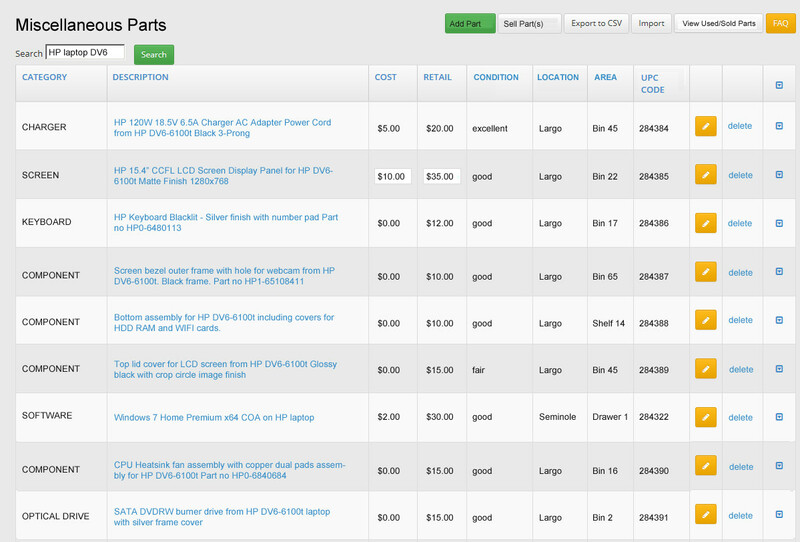 When we do a 3rd party part order to track the order, it will only let me "Add Items from Inventory" and not add a manual line item part (with cost/retail price like an invoice allows). Your suggestion would free up my time from making an inventory part for every button, chip, or one time, non-serialized part ordered. Hope this gets implemented somehow. Thanks! @Troy - I see the refurbs module went live recently. This is nice (especially tracking additional costs and total invested cost), and will definitely ENHANCE the module I'm referencing in this post, but please confirm the refurbs module is not the final result. You must have said something like "Damn Ryan, all of your ideas seem to be gold! If RS isn't paying you for all the work you do, they should be..." LOL! @Curtis: I keep telling Robert in Troy that in a joking manner, but thank you for agreeing. My real job as owner of a big chain company is to make our process simple and efficient. All of the ideas and suggestions I make are geared towards making that happen. Was just looking through some of the popular ideas and it occurred to me how odd and out of place this comment from Ryan seems now that my original comments and profile have been banned. Ryan, this has been planned forever - although we don't describe it this way. It's part of serialized inventory, and it's almost done. We will have the condition and price moved to the "instance" of inventory items. You'll be able to have an item called "Dell Laptop" and each "serial" can have the condition, price, a link to the customer purchase, etc etc. Once sold, it will move to the sold pile and always be available for reference and not show "in stock". Probably usable like this in the next month or two..